Oracle Corporation (NYSE: ORCL) today announced fiscal 2017 Q3 results. Total Revenues were $9.2 billion, up 2% in U.S. dollars and up 3% in constant currency. Non-GAAP Total Revenues were $9.3 billion, up 3% in U.S. dollars and up 4% in constant currency. Cloud software as a service (SaaS) and platform as a service (PaaS) revenues were $1.0 billion, up 73% in U.S. dollars and up 74% in constant currency. Non-GAAP SaaS and PaaS revenues were $1.1 billion, up 85% in U.S. dollars and up 86% in constant currency. Total Cloud Revenues, including infrastructure as a service (IaaS), were $1.2 billion, up 62% in U.S. dollars and up 63% in constant currency. Total Cloud and On-Premise Software Revenues were $7.4 billion, up 4% in U.S. dollars and up 5% in constant currency. Operating Income was $3.0 billion and Operating Margin was 32%. Non-GAAP Operating Income was $3.9 billion, up 3% in U.S. dollars and up 4% in constant currency, and non-GAAP Operating Margin was 43%. Net Income was $2.2 billion while non-GAAP Net Income was $2.9 billion, up 6% in U.S. dollars and up 7% in constant currency. Earnings Per Share was $0.53, while non-GAAP Earnings Per Share was $0.69, up 7% in U.S. dollars. 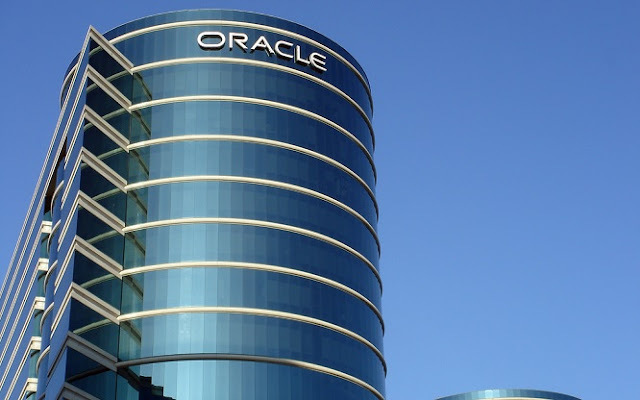 Without the impact of the U.S. dollar strengthening compared to foreign currencies, Oracle's reported GAAP Earnings Per Share would have been 1 cent higher. Short-term deferred revenues were $7.4 billion, up 7% in U.S. dollars and constant currency compared with a year ago. Operating cash flow on a trailing twelve-month basis was $13.5 billion. "The hyper-growth we continue to experience in the cloud has rapidly driven both our SaaS and PaaS businesses to scale," said Oracle CEO, Safra Catz. "On an annualized non-GAAP basis, our total cloud business has reached the $5 billion mark, and our SaaS and PaaS businesses grew at the astonishing rate of 85% in Q3. That growth and the resulting scale enabled our SaaS and PaaS businesses to increase non-GAAP gross margins to 65%. Our new, large, fast growing, high-margin cloud businesses are driving Oracle's total revenue and earnings up and improving nearly every important non-GAAP business metric you care to inspect; total revenue is up, margins are up, operating income is up, net income is up, EPS is up. Take a look. Q3 was a very strong quarter."